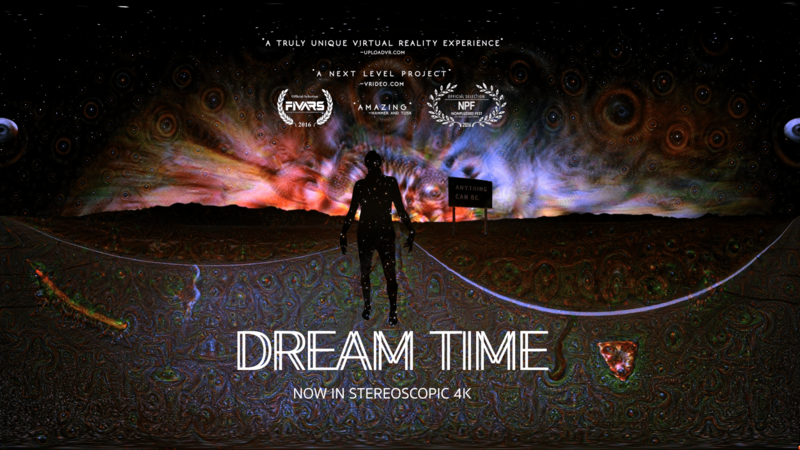 Dreamtime 4K 3D is a meditation on imagination and the unknown, and is the first cinematic use of Deep Dream to achieve a VR experience, placing you within a dream that is half human and half machine. DREAMTIME was a selection at FIVARS International, VRTO, Non Plussed Fest 2016 and covered by CNET and UploadVR. Now it returns to make it world premiere in glorious 4K resolution Stereoscopic 3D!